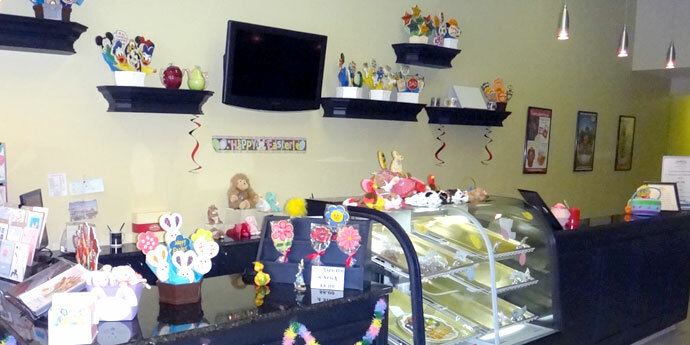 Stop in our Downtown Orlando bakery located on North Orange Avenue in the Frank Eidson Building and catch the aroma of our fresh baked gourmet cookies and treats. Grab a treat for yourself or have a gift basket delivered to a loved one. 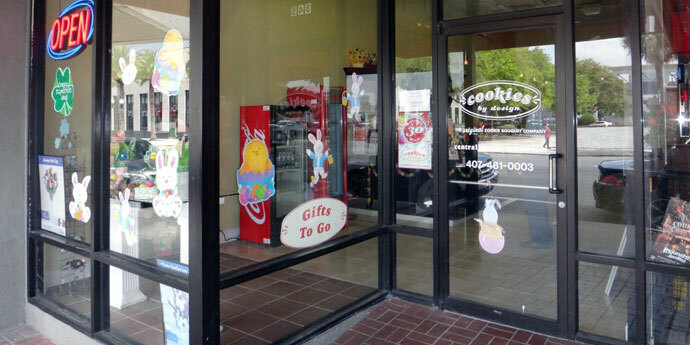 We offer cookie delivery or shipment to the Orlando area, Kissimmee, Lake Nona, Winter Park, Altamonte Springs, Lake Mary, Casselberry, Maitland, Sanford, Apopka, Ocoee, Leesburg, The Villages, Ocala, Daytona Beach, Melbourne, DeLand, Cocoa Beach as well as local universities and hospitals like: Central Florida, Valencia College, Rollins University, Florida Hospitals (Apopka, Altamonte, DeLand, Daytona) ,Orlando Regional Medical Center, Nemours Children’s Hospital, Winnie Palmer Hospital for Women and Babies, Arnold Palmer Hospital for Children, Leesburg Regional Medical Center and Holmes Regional Medical Center. Same day delivery is available in most areas.